"The CD3 Mk II is competitive with the best CD sources currently available." Sound "It excelled at capturing inner detail, at explicating the complexities of the music, though not in a showy or blustery way. Time and again, especially as I played some of the most dense and layered recordings on the CD3 Mk II, the music took on a completely resolved, flowing character that never lacked for sheer detail or naturalness." The CD3 Mk II gives an "honest portrayal of the midrange," "tubey warmth, fullness and romance be damned." Features Fully balanced, non-upsampling CD player that uses "a Philips CD Pro2 transport mechanism and Cirrus/Crystal CS4396 Delta-Sigma DAC chips." "The transport mechanism is modified in various ways and shock mounted onto a heavy, machined, multilayer aluminum platform, which isolates it from the rest of the chassis and presumably isolates the circuit boards from the vibration of the mechanism."
. Do not forget to use the puck -- you'll be reminded of its importance by the sound of your CD bouncing around inside the player." Value "I enjoyed its honest sound and admire its honest value." It is with a heavy heart that I acknowledge SACD's and DVD-A's slow, steady decline -- I hope not into oblivion. Both were launched with such high hopes and high expectations. Both have garnered numerous wildly positive reviews, and SACD seems to have gathered momentum with audiophiles, especially now that some SACD players offer very good -- even great -- CD playback. The issue, however, is Sony's apparent abandonment of SACD, leaving labels like Telarc, Mobile Fidelity, Fantasy Jazz, Chandos, Hyperion, Harmonia Mundi, Naxos and others to carry on. And carry on is what I and many other music lovers hope they do. We've given up on the idea of simultaneous CD and SACD releases; now we merely hope that SACD becomes as popular among record labels as vinyl. At this point, in fact, an increase in new SACD titles to the levels of new vinyl releases would be a monumental improvement. What SACD and DVD-A have obscured, first in their launch and now in their descent, is that CD sound has improved in bits and bytes over time, with a number of sub-$1000 products enjoying exalted status and some higher-priced rigs reaching sonic heights that have never been attained. We've reviewed a few of the budget marvels, like the Benchmark Media DAC1 and Stello DA220, and have at least one review in the works of products that aspire to reach the very peak of digital sound. And then there is the Audio Research CD3 Mk II, a CD-only player from a company whose product line seems to show at least a hint of interest in SACD and DVD-A, specifically the multichannel aspect of each. Why is Audio Research manufacturing a CD player in Y2K+5? Let's find out. It was over a dozen years ago that Audio Research, perhaps the most venerable of high-end audio-electronics manufacturers, went digital, launching a product line that has spawned four standalone DACs, a single dedicated transport, and three integrated CD players. 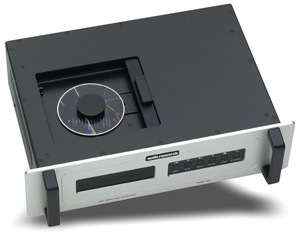 Audio Research's latest and only digital product is the $5495 USD CD3 Mk II, a CD player that was initially launched in 2001 and then upgraded in 2003. Modifications to the original CD3 included 45 parts changes or additions, but the heart of the player remained unchanged: a Philips CD Pro2 transport mechanism and Cirrus/Crystal CS4396 Delta-Sigma DAC chips. However, a parts inventory tells very little about the CD3 Mk II. 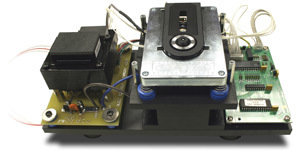 The transport mechanism is modified in various ways and shock mounted onto a heavy, machined, multilayer aluminum platform, which isolates it from the rest of the chassis and presumably isolates the circuit boards from the vibration of the mechanism. The DAC chips are used in a fully balanced configuration, which results in the circuit rejecting any noise or distortion common to both channels. Even though the Crystal DAC chips are capable of 24-bit/192kHz playback, the CD3 Mk II employs no upsampling. "Our empirical research shows sonic compromise is unavoidable due to sample-rate manipulation and approximating errors" is ARC's take. Finally, the CD3 Mk II re-clocks all analog and digital output and utilizes "electronic 'jitter-stripping' techniques" to minimize jitter in the overall circuit. Operation of the CD3 Mk II is smooth and simple. The CD3 Mk II is a top-loading CD player, so you'll need to give it the top shelf of your rack or a shelf with some extra room above. A small magnetic puck holds the CD down to the mechanism's spindle, and closing the sliding door triggers the player to read the TOC. Do not forget to use the puck -- you'll be reminded of its importance by the sound of your CD bouncing around inside the player. The small remote control is an upgrade from the one that came with the original CD3. It duplicates all of the front-panel functions and adds a few more. There is no master on/off switch; the unit is powered whenever it's plugged in, and the Standby button toggles between standby mode and fully on. As there are no tubes used in the CD3 Mk II, there is no reason not to leave the unit on at all times. Around back are pairs of single-ended and balanced outputs, S/PDIF BNC and AES/EBU digital outputs, and an IEC power-cord inlet. As with all Audio Research products, the CD3 Mk II is available in black or silver finish. It has a sleek, unadorned, form-follows-function vibe in either case. You can also order it without the rack handles and a slightly narrower faceplate. With handles, the player measures 19"W x 5 1/4"H x 12 1/4"D and weighs 25 pounds. As keen-eyed readers know, the CD3 Mk II has been part of my reference system since late last year. During this time I have used it with a multitude of products, including Wilson Audio MAXX 2 and WATT/Puppy 7 speakers; Atma-Sphere MA-2 Mk II.3, Lamm ML2.1 and M1.2 Reference mono amps; Lamm L2 Reference, Mark Levinson No.32 Reference, and VTL TL-7.5 Reference preamps; and Nordost Valhalla, Siltech G6 Signature Forbes Lake and Eskay Creek, Cardas Golden Reference, and AudioQuest Sky and Volcano interconnects and speaker cables. The CD3 Mk II fed a Zanden Model 5000 Mk III DAC, as did a Mark Levinson No.37 transport. An Esoteric X-01 CD/SACD player was also in use. The Mark Levinson and VTL preamps allowed for level matching the various digital sources, so comparisons were easy, including between single-ended and balanced outputs, the latter of which has double the output voltage. Power cords were all from Shunyata Research and included Anaconda Vx and Alpha, older Taipan and Python models. Audio Research urges the use of the power cord included with the CD3 Mk II, as they've sourced it especially for their products. It's very good, although a Shunyata Research Anaconda Vx sounded even better to my ears. I auditioned the CD3 Mk II with and without power conditioning; in the former, a Shunyata Research Hydra Model-8 was used. The CD3 Mk II resisted the effects of isolation, as it sounded identical seated on a Harmonic Resolution Systems M3 platform or a shelf of my Michael Green Designs rack. Underneath the player are a matched quad of tuned elastomeric feet, which, perhaps in concert with the shock-mounted transport mechanism, seem to isolate the player very effectively. Audio Research recommends at least a month of continuous play before considering the CD3 Mk II fully broken in and sounding its best. They've said that dealers will demo broken-in units, on whose sound customers will base their buying decisions. Then, when their players arrive, those same customers call Audio Research to ask what's been changed, as brand-new units don't sound nearly as good as dealer demos. The CD3 Mk II for review arrived with a month of play on it; you can easily replicate this by putting a CD in the unit and playing it on continuous repeat. You don't need to have any of your other electronics powered up. Audio Research considers the CD3 Mk II both a CD player and transport, so I began my listening with it connected to a Zanden Model 5000 Mk III DAC, as I know this DAC's sound very well. In this capacity it replaced a Mark Levinson No.37, which I've always thought was in the very upper echelon of transports. As a transport, the CD3 Mk II impressed me immediately -- I spent the better part of the next two weeks listening in this way, wavering during that time over which transport, the CD3 Mk II or No.37, I thought sounded better. There are some marked similarities -- a clear, open, detailed view of the music -- and one important difference: the CD3 Mk II sounded a little more relaxed than the No.37, which emphasized the leading edge of transients to a greater degree. However, the No.37 and CD3 Mk II definitely sounded more alike than different; with some recordings, like Jacques Loussier's rich-sounding Plays Bach [Telarc CD-83411], anyone would be hard-pressed to identify either by its sound alone. I have always thought the No.37 was a great match with the Zanden DAC, but for my tastes, the CD3 Mk II was a little better. Its sound was a little more serene and satisfying than the No.37's. With the CD3 Mk II still connected to the Zanden DAC, I ran a pair of balanced interconnects to the preamp du jour, the VTL TL-7.5, and began comparing CD3 Mk II and Zanden DAC to CD3 Mk II by itself. I suppose single-ended connection would have been more appropriate at this point because the Zanden DAC is single ended only, but I was anxious to hear the CD3 Mk II at its best, and I had identical balanced cables to the single-ended ones used with the Zanden DAC. The strengths of the CD3 Mk II as a CD player were immediately apparent. It excelled at capturing inner detail, at explicating the complexities of the music, though not in a showy or blustery way. Time and again, especially as I played some of the most dense and layered recordings, the music took on a completely resolved, flowing character that never lacked for sheer detail or naturalness. Whereas the CD3 Mk II feeding the Zanden DAC had a more quaint, soft character that didn't lack for boldness when the music demanded it, the CD3 Mk II alone more readily took on the character of the music, making it more difficult to determine exactly what it was contributing to the sonic outcome. I was stunned by the drive and blat that Roy Hargrove's trumpet from Parker's Mood [Verve 314 527 907-2] displayed via the CD3 Mk II. There was bite without added grit or edge, the notes propelled from the speakers with such force that I almost expected to feel the air behind them. I also listened in contented silence to Television's eponymous reunion CD [Capitol C2-98396], which the CD3 Mk II portrayed with all of its dense, diverse atmosphere and space intact. This CD in particular seemed to bring out the best in the CD3 Mk II: its ability to untangle the instrumental lines of a busy recording and not call undue attention to that fact that it was doing so. 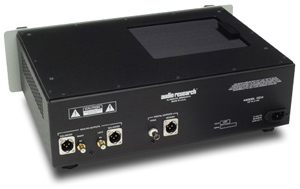 Audio Research preamps and amplifiers are well known for their honest portrayal of the midrange, where so much of the music's message is conveyed. The CD3 Mk II preserves this family resemblance -- tubey warmth, fullness and romance be damned. Because of the tubes used in the remastering chain, all of the DCC gold CDs I own have some residual warmth that I sometimes crave as a change of digital pace. The CD3 Mk II captures it, but doesn't pile its own signature on top. Bob Dylan's Highway 61 Revisited was once available as a DCC CD [DCC GZS-1021], and is now for sale as a sparkling new hybrid SACD [Columbia CH 90324]. The differences in the sound between these two recordings is profound. Which is better? In a purely objective sense, probably the SACD because of the way it seems to mine everything there is on the master tapes, but I enjoy the DCC version more because that bit o' warmth makes Dylan sound more human and the music more tangible and liquid. The CD3 Mk II captures the differences, even showing mastery of the hybrid SACD's high-rez nature. The DCC CD is now an infrequent and pricey eBay find. If you love Highway 61 Revisited, it is the best way to own that album. The CD3 Mk II's treble is very close to the very best that digital can achieve, and is by far the best I've heard for less than five figures. Its exceptional nature is due to the small things -- the subtle shifts in dynamics and texture -- that it conveys in a wholly organic way. The CD3 Mk II certainly sounds detailed in its upper frequencies, but not accentuated. It portrays treble nuance and gradations in a convincing and pleasing manner. This is no small achievement, especially for digital sound, where notable high-frequency detail is often accompanied by a bump in the lower treble. The CD3 Mk II's treble is extended and resolving without the bump and its attendant negative effect on the listener. If the CD3 Mk II's highs have any character at all, it's a creamy density, the sense that the notes are tightly packed together and simply pour out of the speakers as a single entity. As I've mentioned, the CD3 Mk II is a fully balanced CD player, and has both balanced and single-ended outputs. Audio Research believes in fully balanced circuits, and I have become a believer as well, especially with digital gear. In my opinion, the noise-canceling attributes of a fully balanced design have their greatest effect with digital gear; you simply cannot say that you've heard the best that digital has to offer until you've heard a player like the CD3 Mk II through its balanced outputs. There is no parameter of the sound produced that does not benefit, especially low-level resolution, which is clearly better and ratchets up the clarity and vibrancy of the entire presentation accordingly. Listening to the CD3 Mk II through its single-ended outputs didn't change the player's sound immensely, but did make for less-refined sound. Retrieval of inner detail was less pronounced, and the entire presentation didn't have quite the same level of easy resolution or verisimilitude. Single ended, the CD3 Mk II is still a very good CD player, but, in meaningful ways, it sounds better balanced. I was lucky enough to have a top-flight digital source on hand to which I could compare the CD3 Mk II. I reviewed the Esoteric X-01 CD/SACD player ($13,000) a year ago, saying about it, "I've heard no better-sounding multi-format digital source." It made for worthy competition for the CD3 Mk II, and gave me greater insight into the ARC player's sound. When you reach the level of playback represented by the Esoteric X-01 and Audio Research CD3 Mk II -- the best of the best -- the discussion turns from one being obviously better than the other to the musical validity of each. Does each reproduce the totality of the music on each disc and portray it in a convincing manner? The answer to this question is a resounding "yes!," but there are some differences. The CD3 Mk II and X-01 offer a matter-of-fact, uncontoured view of the music that sounds more similar than different. The X-01 definitely has a bigger and bolder presentation, especially in the bass, which has more weight, power and fullness than that of the CD3 Mk II, which transitions from the upper bass to the lower with no highlighting of any portion. The CD3 Mk II's soundstage doesn't seem to swell in size, as the X-01's does. Is the CD3 Mk II's presentation therefore more honest? I can't say; I will say that in their effect, the X-01 and CD3 Mk II are certainly rivals. Which would I choose? I don't prefer one over the other, and I could be very happy with either. If I had only CDs to play, however, the choice would be clear and based solely on cost. Is SACD playback alone worth $7500 to you? So often when a manufacturer of amps and preamps crosses into an area in which the company has no prior experience, the initial attempt is somewhat disappointing. However, subsequent products often show steady improvement, even if they don't attain the accolades that the company's core products do. I can say with complete confidence that the CD3 Mk II is the best Audio Research product I've heard in my system, so perhaps the company's digital proficiency was consummate from the beginning. The CD3 Mk II is competitive with the best CD sources currently available. I enjoyed its honest sound and admire its honest value. If you audition the CD3 Mk II, be sure to do so balanced to hear it at its very best. I still hope that SACD is fully resuscitated, or at least carries on in some fashion -- the sound of an SACD is still the best thing that digital currently has going for it. But a CD-only player like the CD3 Mk II will likely be used more than any SACD player by several times, as we all have many more CDs than SACDs. Preamps have more than one set of inputs for a reason; the Audio Research CD3 Mk II and a good, budget-preserving SACD player seem like a rational means to a fulfilling musical end.